Carpenter ants are formidable, brazen and problematic. If you find one or two of them in your home, don't panic just yet. You only need to worry if you spot multiple carpenter ants roaming around each day because this is a telltale sign that your home is infested. What Makes Them a Threat? Carpenter ants are dangerous for one reason: They are able to inflict damage on you and on your home. All it takes is for you to disturb their nest. Without hesitation, they will attack you in one way or another. A bite from these pesky critters isn't unbearable, but it is painful and discomforting. Contrary to what you may believe, carpenter ants are only aggressive when they feel like they have to be. Their mandibles are definitely strong enough to break your skin. What makes matters worse is their ability to spray a formic acid into the open wound. Unfortunately for you, your home is equally vulnerable. When it comes to destroying wooden structures, carpenter ants are just as good as termites are. The main difference is that this species will hollow out sections of the structure to create smooth tunnels. As their colony expands, they will use their big mandibles to dig even deeper into the structure. This is how carpenter ants gained notoriety. In fact, each year, these wood-destroying critters force property owners to fork out thousands of dollars. Don't be their next victim. You can save your residential and commercial properties by reaching out to All-Pro Pest Control. How to Safeguard Your Properties from Future Invasions? Carpenter ants are on the prowl for food and shelter. Since they also need some degree of moisture, they will keep returning if your home has decaying or rotted wood attached to it. That's why it would be in your best interest to examine your home's exterior. Start at the most vulnerable areas, such as the window sills, the siding, the foundation and the roof. Carpenter ants are bound to exploit these parts of your home first. If you want to make it even harder for these critters to return, it's important that you get rid of easily accessible entry points. You need to trim any tree branches that touch your home, and make sure to put your garden hose away after each use because the ants will crawl through it if it's left in your lawn. Moreover, beware that reproducing carpenter ants have wings, so don't leave any windows open unless you have screens in place. By doing the things mentioned above, you'll shore up your properties and make them less attractive to these pests. 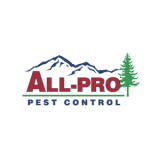 The professionals at All-Pro Pest Control are on standby with pertinent advice and effective solutions.